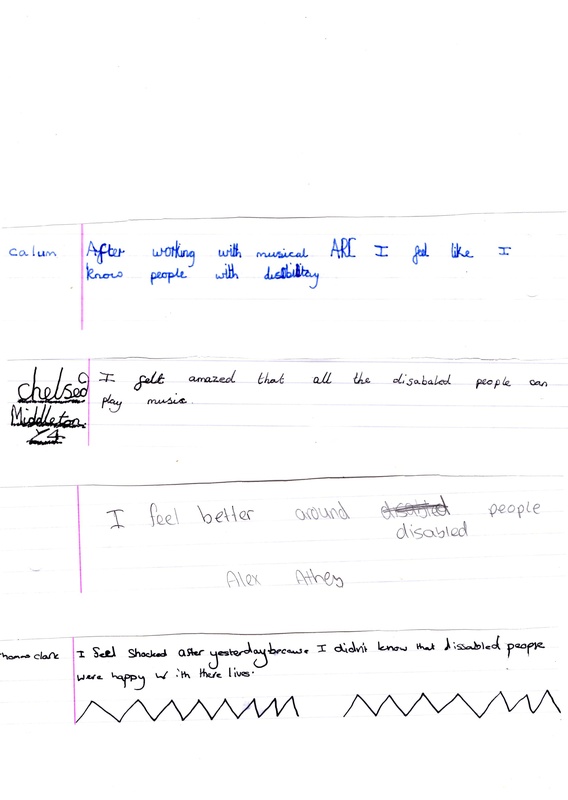 Feedback from the audience of The Mango Tree at LCM on Friday 20th June 2014. 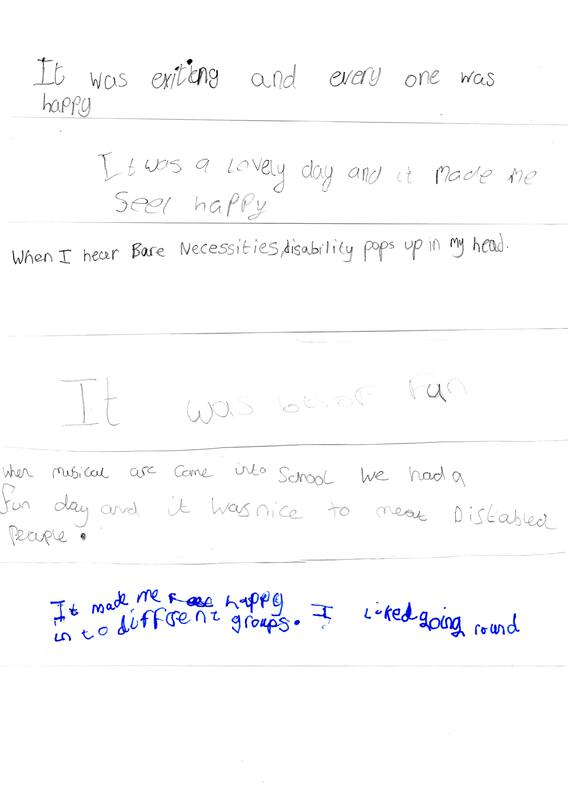 Feedback from teachers, staff and children at Carr Manor Primary School for The Mango Grove event held at Meanwood Community Centre on Monday 9th June 2014. 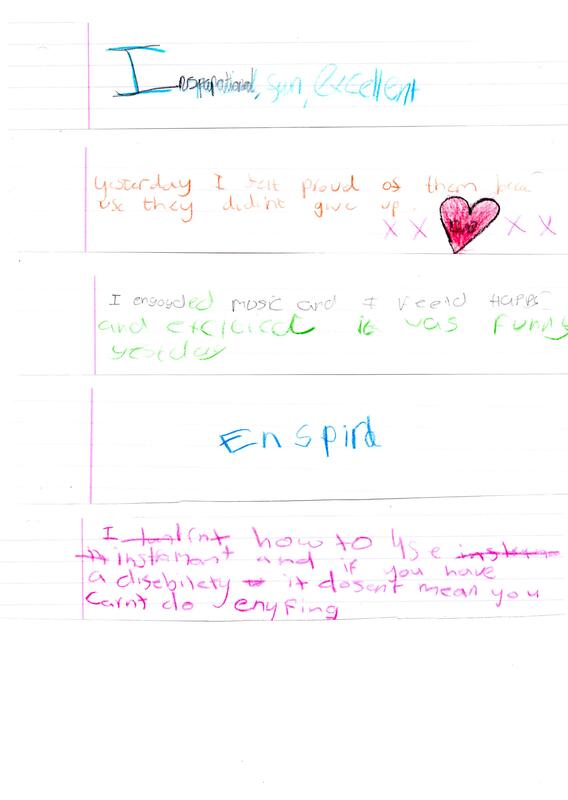 Feedback in the form of 26 Thank You cards from St. Philips Primary and Nursery School for the event held at their school on 20th May 2014. Thank you for coming to our school on the 23 of May 2011. We really enjoyed your visit by telling us how hard it is for disabled people but they can still live a long happy life just like us. The assembly was very good and I licked the part when Shahnaz told us about the braille and the stick that helps her move around. The performance was excellent and I thought every one should be proud. It proves that if you try you can do anything. At the work shop we played instruments. Musical arc was a great teacher and you should go to other schools. You changed the way I thought about disabled people I will not forget you! The day that you and your colleagues provided for the children at Hunslet Carr Primary School was exceptional. The organisation, prior meeting and timetable ensured the whole day ran very smoothly and gave us the opportunity to talk to our children and build up their excitement for the day. The members of your team delivered fantastic workshops for our children and fully engaged all who took part. 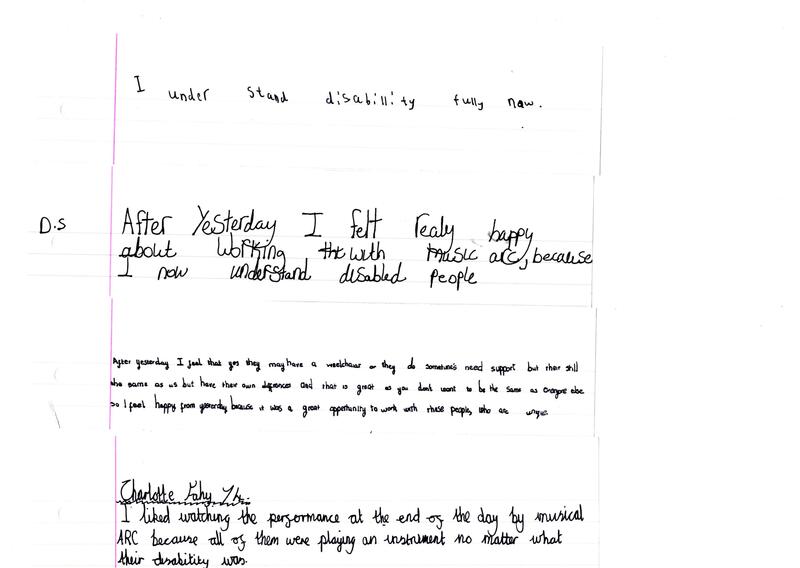 This was an amazing opportunity for the children to work with disabled people and learn from them. The concert at the end of the day was enjoyed by all. Your team in one day changed the attitudes of all the children towards disability. There was a total respect for the undoubted talent your team possess. The children were left absolutely ‘buzzing’ and talked about the day for weeks afterwards. 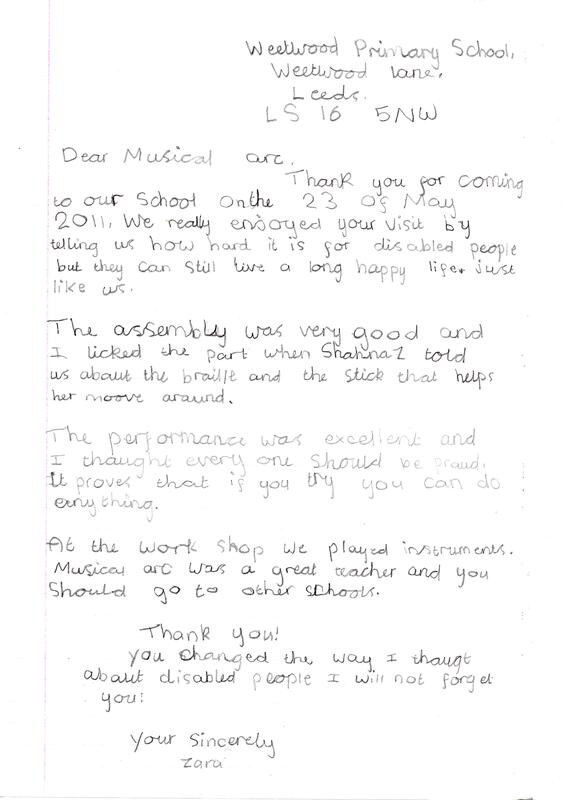 I would highly recommend Musical Arc to all my colleagues in other establishments and feel it is a must for all primary schools who have the chance to work with you all to take up the opportunity.